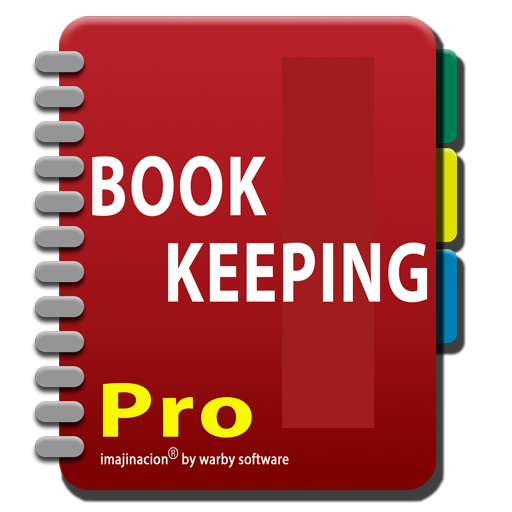 Bookkeeping Pro is a program for the iPad, iPhone, and iPod Touch that allows you to maintain a set of books using standard double entry accounting principles and journals. The program has been designed to be flexible so that it can be configured to suit your particular country and business requirements. Bookkeeping Pro is a fully featured bookkeeping solution for individuals and small businesses, it is not a simple expense tracker. The extensive capabilities of Bookkeeping Pro mean that there is no longer a need for an expensive desktop accounting package for many people and businesses. Bookkeeping Pro is an international bookkeeping program and is not designed for one particular country. So it can work whether you are in Australia and dealing with GST, IAS and BAS1, in the UK or Europe dealing with VAT, in Canada dealing with GST and provincial taxes, in the USA dealing with sales tax, or in some other country not mentioned here. This adaptability helps to make the program future proof. So if the sales tax arrangements change where you do business then you can simply reconfigure Bookkeeping Pro to meet these new needs. Bookkeeping Pro has got you covered regardless of whether you are trying to balance your home business accounts, have a small business that sells products and services around the world, or are a jet setting professional that needs their finances in their pocket at all times. Bookkeeping Pro is unlike many simple bookkeeping programs in that it has been designed to handle the simple day to day finances of a home business, and also designed to handle the complex day to day requirements of a jet setting small business dealing with multiple currencies and bank accounts in multiple currencies with sales and purchases from countries all around the world. The program will adapt to your requirements, by hiding fields that are not required, and by being configurable so that you can decide what to use and what not to use. The program is designed so that it can grow as your needs and complexity grow. You will not be locked into a costly upgrade cycle simply to keep the program current as all configurable data is easily accessible and updatable by you. You can enter your own calendars, income tax scales, sales tax rates, and many other items that are important to you and which change over time. You can also choose whether to operate using Cash accounting principles or Accrual accounting principles. Regardless of which accounting principle you use you can still enter sales if you need, and enter purchases if you need. It is not necessary to enter everything as a general journal entry just because you want to use Cash accounting. Bookkeeping Pro Edition works just as well dealing with one currency as it does dealing with multiple currencies. If you only need one currency then all of the extra complications of foreign currencies are hidden from view, but they are always there if you need them in the future. The program has ever increasing support for complex foreign currency transactions and can manage calculating foreign exchange profit and loss automatically in many instances. In the instances where it cannot be automatically calculated you can still use a journal entry to periodically balance your foreign currency accounts. There is full support for bank reconciliations of foreign bank accounts, and three way foreign currency transactions (for example where you buy in one currency, pay for the purchase in another currency, and keep your books in a third currency). Bookkeeping Pro has the standard facilities of Sales, Receipts, Purchases, Payments, Returns, Refunds, and General Journals. There are additional facilities to make things easier like: Term Deposits, Budgeting, Bank Reconciliations, Importing Bank Transactions, Recurring Transactions, and a whole host of Reports that you can access directly on your iPhone, iPad, or iPod Touch. You can email or print any report that you can view on the screen and all reports are in the portable PDF format so that they are compatible with a wide variety of computers and printers. Bookkeeping doesn't stop there either. There is support for Invoicing, Quotations, and Purchase Orders, as well as Statements that you can send to your customers to inform them of outstanding invoice amounts. The Bookkeeping Pro has additional support for Synchronisation between devices, Multi-Currency support, Global searching for transactions, Inventory Tracking, automatic calculation of Cost of Goods Sold, Employee Salaries, Salary Entitlements, Job Tracking, Stock Portfolios, Dividend Receipts, and Auto-matching of Bank Transactions on bank reconciliations. The program is designed specifically so that your data is not locked inside the program thereby causing you endless grief trying to get at your accounts data. There are various import and export facilities for all of the data within the program. The program also offers remote backup and restore capabilities using Dropbox, any WebDAV server, e-mail, or using the iTunes sharing capabilities. Bookkeeping Pro has automatic synchronisation with Dropbox to keep your books in sync on all of your devices. The synchronisation capability includes automatic incremental backups to Dropbox so it is useful even if you only have a single device. Bookkeeping Pro has integration with AirPrint and also WePrint server for printing directly from the device. For many the details of double entry bookkeeping are a mystery, and many would like to keep it that way. Bookkeeping Pro takes care of most of the drudgery of dealing with double entry posting to ledgers and remembering which account is a debit and which is a credit. We have gone to lengths to hide this as much as possible with screens that give you simple labels like 'From Bank Account' and 'To Bank Account' instead of 'Debit Account' and 'Credit Account'. However some like to know what is going on behind the scenes so in Bookkeeping Pro we give direct access to the general ledger from various places throughout the program so that you can see exactly what is going on if you want to know. We have designed the program in such a way that you can achieve what people often call 'splits' without the risk of creating an unbalanced transaction. An unbalanced transaction is where the total amount of all debits does not equal the total amount of all credits. If you prefer to use the traditional split journal entries you can do so by changing a single Application setting. Bookkeeping Pro brings together a full suite of bookkeeping tools that can meet all the needs of many small businesses and individuals. Bookkeeping Pro is a complete package and does not rely upon other programs or services to function correctly or usefully. You can choose whether you wish to use external services such as Dropbox to enhance the functions of the program. Best of all Bookkeeping Pro is, compared with many well known bookkeeping and accounting programs, very cost competitive. Please consult the Editions page for details of the specific capabilities of Bookkeeping Pro.